Go to [Template] in [My Setup]. Enter [Campaign] Section, click the [Template] button at the top right corner. 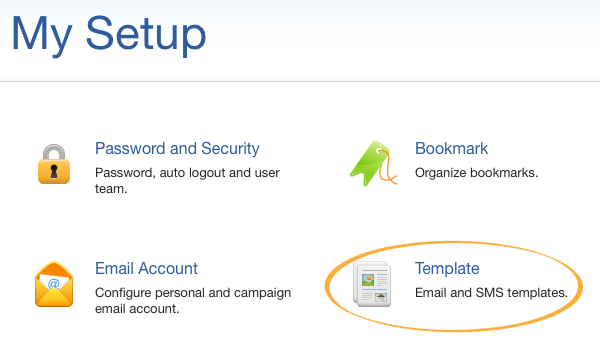 Click the [Create Email Template] button at the top right corner. Give a name to the template. Choose the access type of the template. If the email template is public, other users can use and modify this template as well. Give a subject to the email. 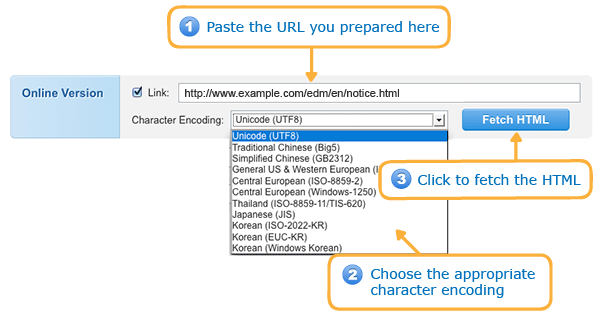 If you have already created the online version for the email content, load the URL directly. Remember to choose the appropriate character encoding. You can write a HTML email in the HTML editor. The system provides some free templates to you. 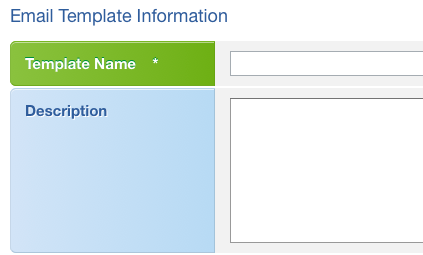 You can click the [Free Templates] button in the HTML editor and choose a template to add your own contents. Choose the personalized data field and insert it to the appropriate location. Click the [Save] button when you have finished.